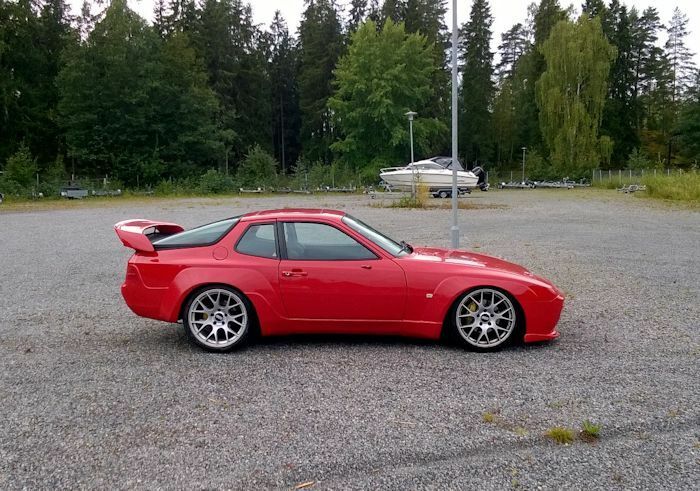 The above picture is a 924S / 944 8V / 951 gauge kit installed. 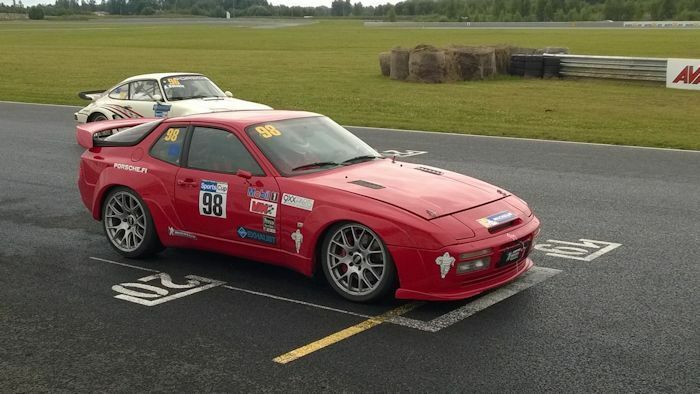 The above picture is a 944S / 944S2 / 968 kit installed. Fuel pressure is important information. Whether you are dialing in your fuel pressure for optimum performance, or diagnosing engine troubles. Without a gauge, you're only guessing! We have made installing a fuel pressure gauge on your fuel rail a simple task. We supply "everything" you need to get the job done. Simply remove your old fuel rail cap nut and ball seal, install the unique designed Lindsey Racing adapter nut, angled fittings and screw in the new Fuel Pressure Gauge and you're done! This small, good looking, easy to read gauge clears the hood when properly installed where larger gauges will not. In addition to being functional, it will add to the overall "under-the-hood" package. Note: Cars with worn motor mounts, misaligned hoods, under hood insulation or cars that have been in an accident may have clearance problems. Check the clearance between the hood and the gauge top. If you feel there is not sufficient room, then remove the gauge after setting the pressure and re-install the factory sealing ball and cap. Cars with good motor mounts, and things are aligned properly should have about 1/2" between the hood and gauge. This is adequate room for the engine as it torques. Cars running solid engine mounts should not have any problems. If still concerned, we supply a pair of street 45 degree elbow fittings allowing you to adjust the position of your gauge down.